Innovative senior care model to be made available to residents this fall. SCOTTSDALE, AZ, August 28, 2018 – Former Marine Alex Caudill is no stranger to the healthcare industry, nor to senior care. But he saw gaps in the local senior care scene, leading him to become the latest franchisee for A Place At Home, an innovative Senior-Focused care model. The new branch, located at 10601 N. Hayden Road, Suite 108 in Scottsdale, is scheduled to open later this fall. Caudill has cared for seniors both personally and professionally, and has seen multiple family members and friends through assisted living, homecare, and hospice. Caudill spent 10 years serving in the Marine Corps, both on active duty and on the reserves. He spent the next seven years holding multiple leadership positions in the healthcare industry, including operations, sales, marketing, and business development. This has given him an extensive education in leadership, sales, and the operational success of a healthcare company. A Place At Home launched in 2012 in Omaha, NE. After experiencing explosive growth, co-founders Jerod Evanich and Dustin Distefano continued fulfilling their mission: to be Passionate Professionals Providing the Compassionate Care Solutions You Need, Where and When You Need Us. To that end, they began awarding new franchises across the nation. A Place At Home offers a unique “Senior-Focused care” model which provides a continuum of in-home care, care coordination, community placement, and staffing services. 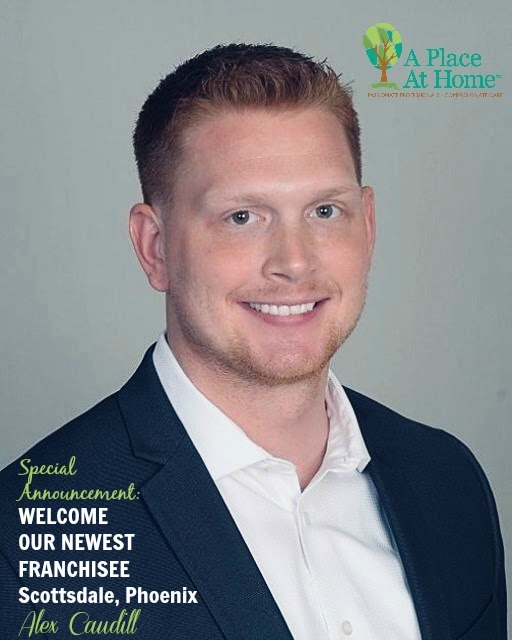 “We are excited to bring on another franchisee with ambitions to help people and to grow their own A Place At Home business in their community,” adds Evanich. A Place at Home (a NorEast Franchise Group) offers a range of customized in-home care services, care coordination and assistance in identifying and transitioning to senior living alternatives. The company is dedicated to preserving the quality of life for seniors by giving them the support they need to stay as independent as possible for as long as possible. Those who would like to explore franchising should contact the owners to start a conversation. Visit aplaceathomefranchise.com or aplaceathome.com for more information.